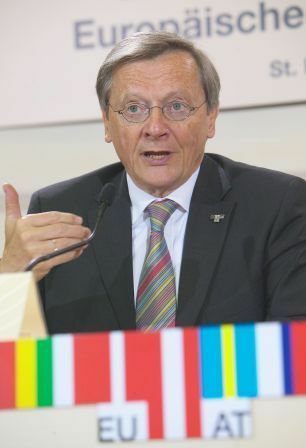 In the margins of a high ranking conference on subsidiarity held the last two days in St. Pölten, Wolfgang Schüssel, chancellor of Austria and current President of the European Council, has again criticised the Court of Justice for disregarding the public opinion in general and the national interests of the Member States more specifically. In an interview with the Financial Times, he urged the Court to respect the principle of subsidiarity, arguing that in its case law on this principle, “sometimes the balance is not being struck in the right way ... People see there is a tendency towards centralization." Mr Schüssel expressed a similar opinion at the beginning of the Austrian Presidency in two interviews with the International Herald Tribune and the Süddeutsche Zeitung. Mr Schüssel was again particularly critical about the Court’s judgement in Case C-147/03. In this case, the Court used a wide interpretation of Article 12 EC to argue that Austrian legislation disadvantaged holders of secondary education diplomas awarded in a Member State other than Austria, since they could not gain access to Austrian higher education under the same conditions as holders of the equivalent Austrian diploma. Mr Schüssel reiterated the position of the Austrian government that academic recognition of higher education diplomas is outside the scope of Community law. See also my post on Barosso about gouvernement des juges.